Arguably Steem's greatest ever man, warrior and scholar. Ruggedly handsome with chiseled features and a muscular physic. At the same time surprisingly approachable in a 'wow he is good-looking, let's see what he has to say' kind of way. It is no wonder that SirKnight is Steem's most 'Legendary Blogger'. But that's enough about SirKnight... for we are actually here to thank and honor to two lovely ladies. As you are all aware, Telos is a new blockchain offering the same functionality as EOS, but the potential to be so much more. One area that EOS is doing it tough is governance, including arbitration. Telos is not going to make the same mistakes. Telos seeks 21 Arbitrators at this time to manage sensitive governance scenarios on this growing platform. Arbitrators are required to make determinations around disputed, lost and stolen accounts within the Telos blockchain, doing so in an efficient and timely manner. Introducing Chukuemeka, Ukamaka of Anambra State in Nigeria - or as we all know and love her @ammyluv. 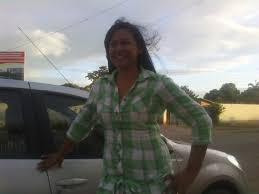 And, Mariela Josefina Mejías de Coronado, better known as the vivacious @mariela of Venezuela. They will shortly finalise their applications under their arbitration names, where they will then be received into the next round of Arbitration Elections. And with CVs like these, there is zero chance that they won't be voted into office. Congratulations ladies! You have both worked hard and proven yourselves highly capable over the past 12 months and deserve this recognition. This congratulations doesn't just go to Ammyluv and Mariela though. These appointments are a credit to all the parishioners of SteemChurch, who have grown our Christian movement and the talent within. Next step - create SteemChurch member's register to ensure the efficient expansion onto Telos. Please expect the online membership form to be posted on Steem over the coming week. Be well brothers, sisters and friends. 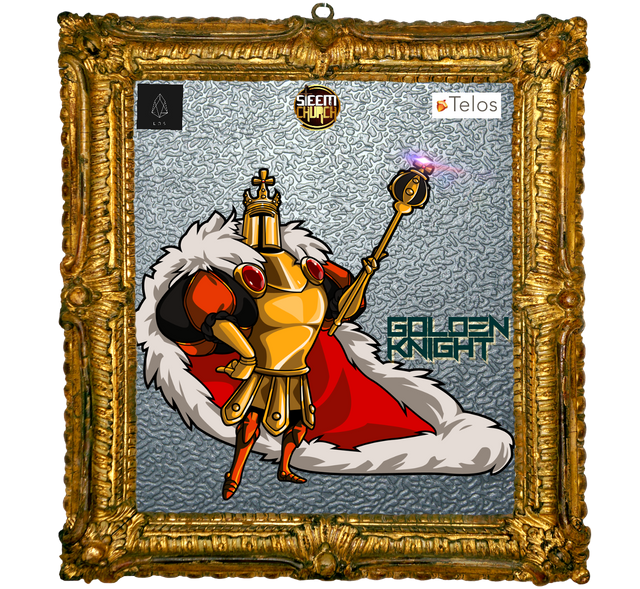 For I most certainly am SirKnight... the GoldenKnight of Telos. One of the most important moments of our professional life is when we receive a deserved promotion in recognition of our effort, our dedication and our professionalism. SteemChurch is pleased to congratulate these beautiful ladies! Successes for @imaluv and @mariela in this worthy responsibility. Congratulations to these talented ladies @mariela and @ammyluv, that I am sure will leave the name of Steemchurch on high, thanks @sirknight for this opportunity, for every detail that makes the church and the love of God grow every day. Congratulations to @mariela and our own @ammyluv. We pray God will grant you the grace and strength to carry on on your new call to duty. My boss at the office will always say "When you have a good boss, be rest assured you will become a good employee"
It all boils down to you the Legendary Sirknight. You have always been a good leader that wants the best for his people. I am super thankful to God that I've found someone with a great personality on this platform. And as always, I am honored to serve and represent the entire steemchurch on this platform. This is something I never imagined could happen, but I guess, this is one of the reasons why we serve a living God who is full of surprises. Thank you @Sirknight for this opportunity. I appreciate and God bless you. Thanks to our leader @sirknight for this opportunity to represent our beloved church, always when we do something, we do it as for God, it is an honor to be here, and that my acquired knowledge can be used to place my grain of sand to make this world A better place. Thanks to all the brothers for the work they have done and especially to my beautiful @darlenys01, which drives us every day to fight for dreams and to be better. Congratulations to you too! I pray for the grace of God upon us in Jesus Name...Amen! Congratulations ladies: @mariela and @ammyluv. Thanks to all my beloved brothers of the first church in the blockchain (steemchurch) for all those beautiful messages of congratulations for having achieved this glorious blessing, I know that @ammiluv and myself will do everything in our power to do the best job and not disappoint you or our main leader @ sirknight many blessings my beloved! many blessings @ammiluv here you have a sister with whom you can count from now on to work as one team !!! May the love of Christ always reign in our hearts!!! Congratulations to @ammyluv and @mariela great women of God. Thanks to the legendary steem our @sirknight. Excellent presentation SirKnight you are very original haha, congratulations to the selected. Congratulations, God bless you @ammyluv @mariela with wisdom to carry out this work. It is a well earned merit and will surely be a worthy representative of the unique church in the block chain. But we must be very careful not to go wrong with the SK mentions, since many are those who have deceived and trampled on your generosity, but God is responsible for that justice. On the other hand we must continue to expand and with it, the gospel and the word of God to liberate many lives and hearts.